To provide a quick summary, a small cohort of students (two to four people) majoring in computer science are hired directly out of college. 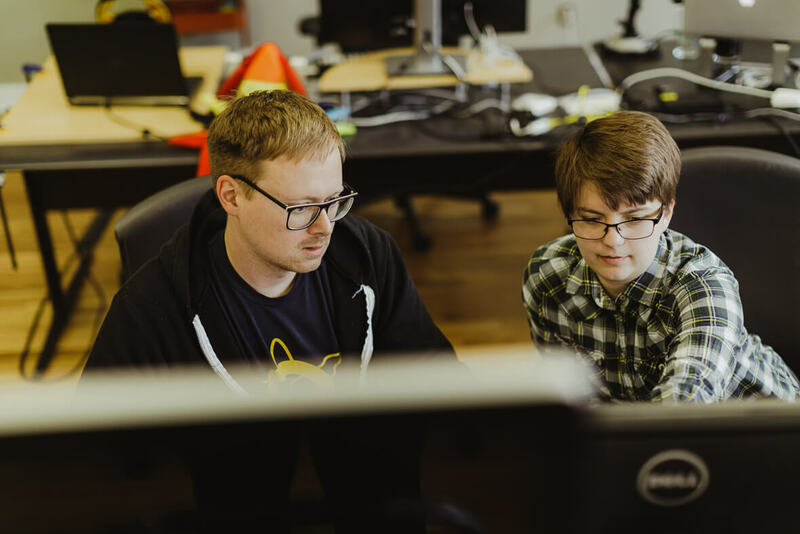 While working as full-time developers alongside other Atoms, they’re guided through a two-year curriculum designed to give them the best chance at succeeding in their new careers. It’s a form of mentorship that I haven’t seen anywhere else in our industry. And let’s be honest, on its face, the Atomic Object Accelerator program is a huge gamble. We’re investing time, money, and resources into two years of dedicated mentorship for each cohort. That’s the equivalent of the median tenure length for our industry. I would consider Atomic Object to be my sixth professional job in a career that began in 2007, meaning that I’m personally averaging two years per job. This is a good argument for why programs like this don’t already exist everywhere. Why spend all this valuable effort training people who are just going to leave when you’re done? The usual method is to take a couple of weeks–a month at most–to show them the ropes, throw them in the deep end, and let them learn to swim. Why fix what isn’t broken? One reason, surely, is that “not broken” isn’t equivalent to “good” or “not worth improving.” For an organization that cares about its employees and community in a holistic manner, dedicating significant resources to mentorship just makes sense. It’s simply the right thing to do, like being charitable and working to improve diversity and representation in your workforce. And in doing so, you set an example for others to follow. Maybe the system isn’t broken, but this is one step in fostering a more empathetic and rewarding work environment. Of course, there is also a direct economic benefit for Atomic Object. Creating an expansive training program for those entering the job market provides a clear recruiting advantage. Not every undergrad is going to see the value in going through an Accelerator program, just as not all of them will be interested in working for a small consultancy in the Midwest. But for the ones who do, it gives us an opportunity to find and hire talent that we might not otherwise. In fact, it might even draw other more-senior developers to consider working here. Recruiting and hiring is itself an expensive and time-consuming process, so finding ways to do that more efficiently and successfully is a worthwhile investment. And a recruiting advantage in the U.S. Midwest is no joke. As a tech company in southeast Michigan, we are competing against the lure of the coasts and an increasing number of opportunities right here at home. Cities like Detroit, Cleveland, and Pittsburgh continue to see an economic resurgence and growth in their tech sectors, and there are plenty of new opportunities springing up in smaller markets every day. Ann Arbor itself has an almost alarming number of tech startups for a town whose population fits inside the University’s football stadium. 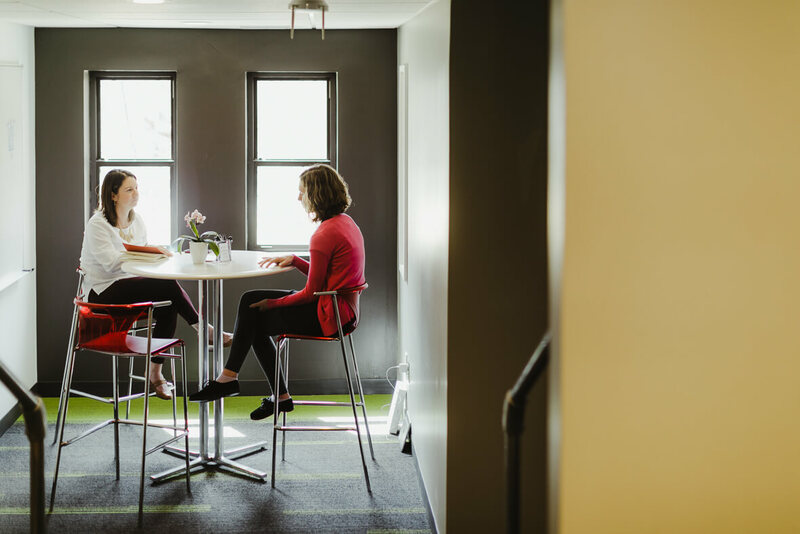 The question for firms like us is, how can we distinguish ourselves to potential employees when every offer sheet comes with great benefits, options, free snacks, and pet-friendly offices? Maybe more importantly, how can we find applicants whose values align with our own and show a dedication to their craft and their own individual improvement? There’s another reason why such an ambitious program makes a lot of sense at Atomic Object. For a small technology business, our company has had an astonishingly long and stable run. As an organization, this year, it will be old enough to vote! There are a significant number of employees who have been at Atomic for five or even ten years. We have a track record of employees staying far beyond the industry average. Because we’re a consultancy, Atoms also have a lot of opportunities to learn and work on different projects, which can mitigate some of the risk of new employees leaving for a different job just to get more exposure or to expand their skillset. Hopefully, committing to the Accelerator also tells new hires that we care about their long-term future with Atomic. We wouldn’t make this kind of investment just to stop caring as soon as the two years are complete. 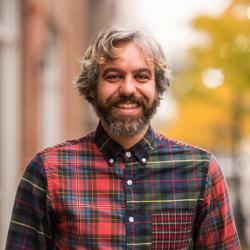 It’s fair to say that the Accelerator program is still in its infancy, having begun at the Grand Rapids office just three years ago. In Ann Arbor, the first cohort (cell Alpha) is still working towards graduation. The few graduates and those currently in the Accelerator are already finding success and demonstrating that it can provide real value, but there’s still plenty of work to be done improving and strengthening the program. Having more alumni giving feedback will certainly help. But I also think we’re just beginning to scratch the surface of the Accelerator program’s potential, and I’m excited to see where it takes us.